Want a way to thank a client or customer? Wine lover’s gift set has everything but the wine. 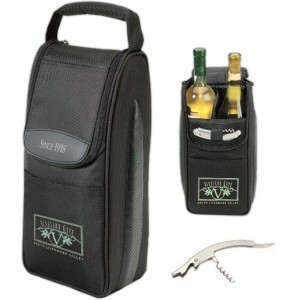 Includes an insulated wine cooler with two bottle capacity and a padded divider. 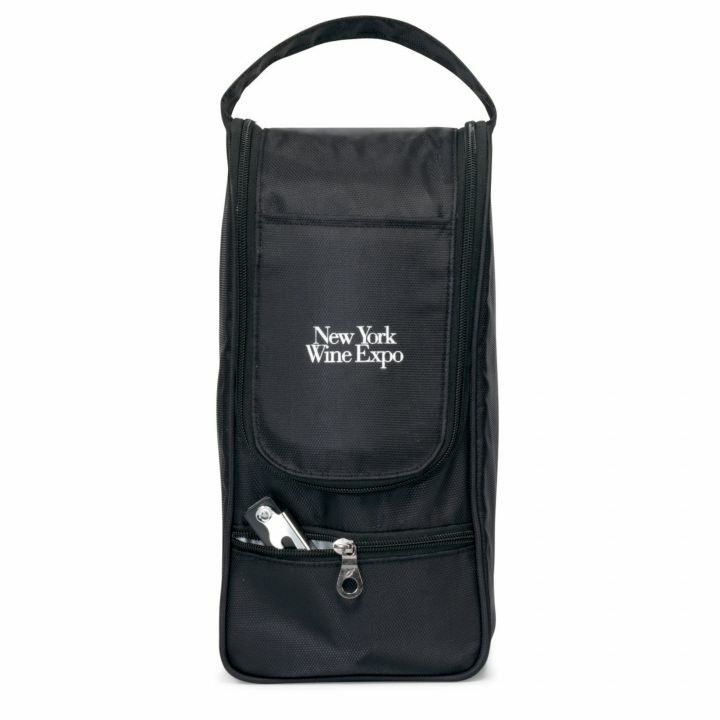 An elastic loop secures the multipurpose corkscrew (included). Logomatic (TM) for dual-branding opportunities. 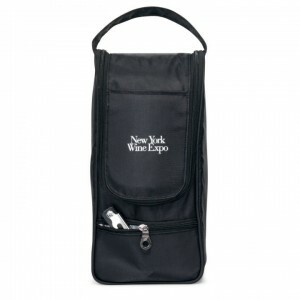 Padded handle grip and non-slip base makes this a great gift. Patented product has capacity for 6 cans or 2 bottles of wine. Min is 25 pieces imprinted, 16.75 ea at 25-49 piences, 14.25 ea for 50-99 pieces, 12.48 ea for 100-299 and 11.98 for 300 or more. Set up is 55.00. Imprint is on lower pocket 3.5″ x 4″. 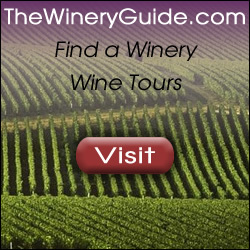 Price includes one color, one location imprint. Upper flap may be imprinted in area 1.5″ w x .375″h for additional charge.